First satellite, first dog, first man in space--hear how. Over the course of four years, from 1957 to 1961, the launches of Sputnik-1, the dog Laika, and astronaut Yuri Gagarin (respectively the first artificial satellite, the first animal in the Earth's orbit, and the first human in space) astounded the world and came to represent the crowning achievements of the Soviet space program. How did the Soviets get there? In this talk, Cassio de Oliveira will tell the story of how space exploration became a central concern of the Soviet regime. The narrative begins with the influence of rocket scientist (and science fiction author) Konstantin Tsiolkovsky on Soviet scientists since before World War II, and continues through the formation of the Soviet military complex after the war. We will find out more about the secret "Star City" of Baikonur in the Kazakh Steppe, and about Gagarin's transformation into a pop figure after his famous flight. Cassio de Oliveira is an Assistant Professor of Russian in the Department of World Languages and Literatures at Portland State University, where he teaches courses on Russian language and culture and on 20th-century European history and culture. Cassio's research interests include Soviet literature from the 1920s and 1930s, Russian film, and translation studies. He is currently working on a book manuscript entitled Writing Rogues: Collective and Individual Identity-Formation in the Soviet Picaresque, 1921-1938. 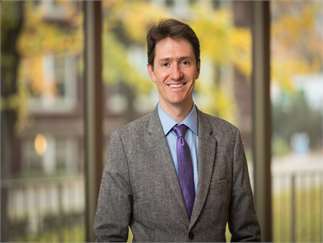 A native of Brazil, Cassio earned his doctorate at Yale University and has an undergraduate degree from Bard College, in New York State, where he first started studying Russian. On his first semester there, he picked a seminar on Russian literature in translation on a whim. He enrolled in a Russian language course the next semester, and, before you could finish saying Zdravstvuite, he had made the decision to major in Russian. For more information, see https://works.bepress.com/cassio-deoliveira/.